Updated Feb 2013 Various ICE topology compounds that I made for last months. Fully compatible with SI 2012. After installation they can be found in Context, Interactive and Topology categories of the Tool tab menu. Can you (or someone else) give me some more? As in: I still can't figure it out. 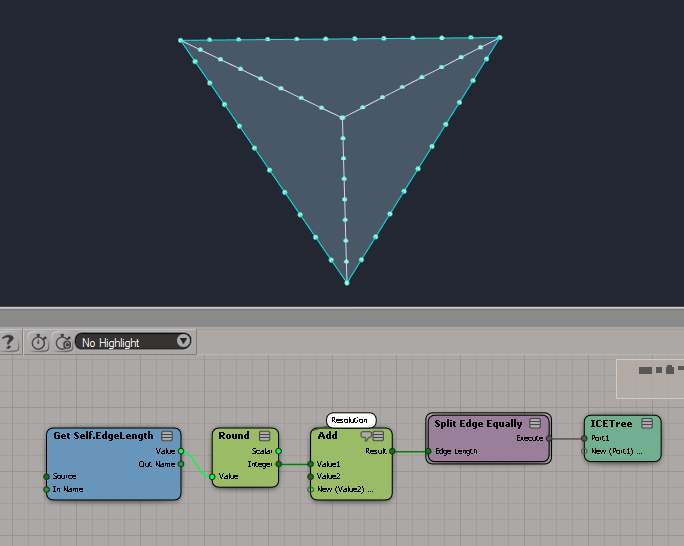 Can you do it with repeat node? druitre wrote: Can you (or someone else) give me some more? As in: I still can't figure it out. Here's something. Roughly speaking, if EdgeLength = X, then it splits that edge into X edges. You should be able to generalize that and then use a Repeat node to apply to all edges. Thanks guys, for some reason notifications for this thread haven't been working for a while so I missed all of your suggestions. Appreciated! Could you please point out how you do that? I'm a beginner with ICE and already stumbled across this problem. I'd like to write to the MaterialID attribute using fixed array indices. Eugen wrote: Could you please point out how you do that? I'm a beginner with ICE and already stumbled across this problem. My pleasure! How exactly is your array looks? Quite simple. 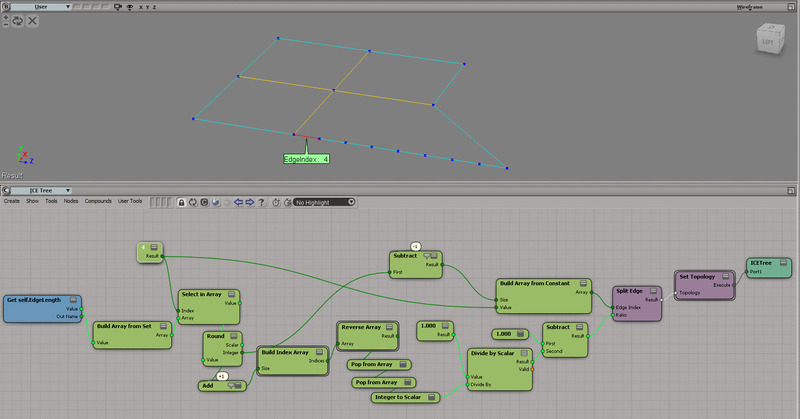 The point is, I want to set the MaterialIDs per polygon "manually", via an array. You would do this based on some conditions, normally. Thanks, but basically what I want to know is how arrays and sets correlate. How to I build up an array and put those indices into a, say, polygon set? That's an academic question meant to help me understand how ICE works. Eugen wrote: Thanks, but basically what I want to know is how arrays and sets correlate. Ha! "Select in Array" is the thing... makes sense. Eugen wrote: Thanks a lot, iamVXF!! The download link is broken?